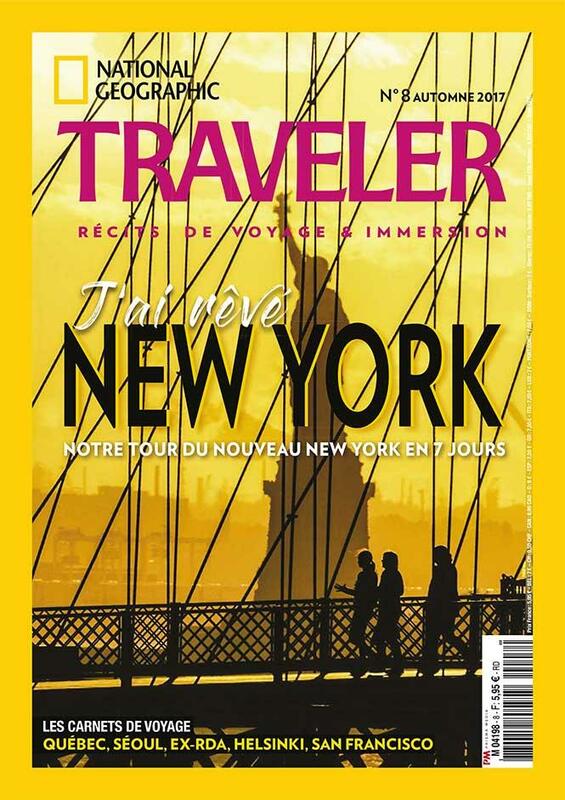 The French edition of NG TRAVELER - Travel with a global brand. Travel smart with TRAVELER: No one knows the planet better than National Geographic. We have been exploring the planet widely for more than a century. Today, National Geographic Traveler invites you to discover the world by yourself through unique experiences. thousand desires to move outside of beaten tracks. Our reporters and traveller writers found out hidden beaches in Thailand, the culinary speciality from Barcelona, the new Austrian ski resort where you have to be, they get lost in Tangier lanes, involve in a cruise in Japan. In the Traveler, they tell you their adventures, the people they met and they give you all the good places to go, those that you can’t find in a travel guide. NG Traveller France was first published in March 2016.